There was more to LBJ’s presidency than Vietnam, but rightly or wrongly, it came to define LBJ’s presidency in the eyes of many Americans then and since. It weighed heavily on his presidency, on him personally, and on the public perception of his job performance. Across his whole presidency, LBJ’s average approval rating was actually quite good: 55.1 (the same, as it happens, as Bill Clinton’s). But as always with presidential approval ratings, the trend is more revealing than the overall average. The overall story is one of relentless decline. And also of division, as his disapproval ratings gained strength. The traumatic and unusual way in which LBJ became president led to very strong job approval ratings in the early weeks and months. While he pledged to continue JFK’s legacy, his initial approval ratings were far higher than JFK’s had been in the weeks before Dallas. 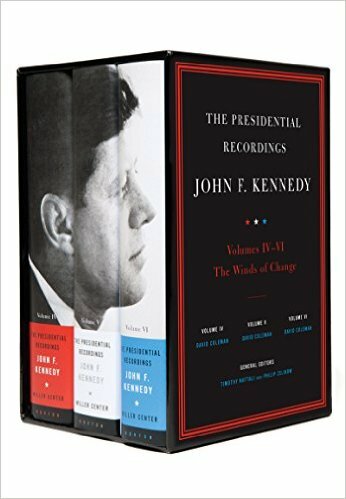 The presidency was not yet his own, but his highest public approval ratings of his presidency were in the first six months, from November 1963 through May 1964, when his approval rating was around 75 percent or higher. There was a lot going on at home and abroad in 1964 and 1965, including escalation of U.S. involvement in Vietnam, civil rights upheaval and legislation, a war on poverty. Through it all, LBJ’s approval ratings remained quite strong. But their trend was steadily downward. By the fall of 1966, LBJ’s disapproval ratings basically matched his approval ratings, as Americans became evenly divided in their opinions of whether LBJ was doing a good or poor job in the Oval Office. And while there were temporary fluctuations, that situation remained basically in place through the rest of his presidency. By 1967, Vietnam had taken hold of LBJ’s presidency and wouldn’t let go. There was pervasive news coverage of a war going badly and a growing dissatisfaction with how things were going at home. 1968 was one of the most tumultuous in modern American history. Riots in the nation’s major cities, the assassination of not one, but two, very high profile public figures (RFK and MLK), and the news from Vietnam all bad. And to top it all off, it was a presidential election year. LBJ said in March that he would sit the election out, but America was boiling. After the beginning of 1966 there were few bright spots in LBJ’s approval ratings, but he could at least take some small consolation that he finished out his term with marginally stronger approval ratings than disapproval ratings. And the approval rating was nudging up toward 50 percent again.